sun flare « CONSTABLE RESEARCH B.V.
Are you sometimes driving around a in big city without any idea where you are going? Do you experiencing loops when you are using your GPS? The cause of the strange behavior of your GPS could be a Solar Flare. Do you know that a pilot is unable to fly a plane because everything is controlled by computers? If the Flare is strong enough it will destroy the computer system and the plane will crash. This has happened already. Do you know that your car is full of computers? When they stop working your car will simply stop. All over the world the old navigation tools like lighthouses are demolished. Every ship on earth is using GPS. If the GPS-system suddenly stops ships will not be able to navigate. In 1989 A Sun Flare was the cause of a total power blackout in Quebec. Is your memory deteriorating? Do you need a small book to write down what you don’t want to forget? Do you have the feeling that time is speeding up? Everything is moving faster and faster. Are you waking up in the middle of the night (between 2-3) without any reason? The Sun and other sources of intense radiation are influencing the magnetic field of the Earth. Your brain is entrained to this field. The entrainment is measured by something called the Schumann Resonance. Earth’s background base frequency (the Schumann Resonance) fluctuates and is rising. For decades the overalll measurement was 7.8 cycles per second. This was once thought a constant. That is why global military communications were using this frequency. However recently reports set the rate at over 11 and climbing. The strongest of the seven resonances is 7.83 Hz, the alpha brain-wave. If the rise in resonance continues it will influence our ability to relax deeply, balance and integrate our mind/body connection. It will influence REM sleep and dreaming. If it continues to rise, it will breach the threshold into “fast” beta activity. This will create attention deficit disorder and worse Alzheimer-disease. The amount of (young) people that are experiencing ADHD is rising. This is the reason of sleeping problems, the experience of increasing stress, problems with the short term memory and (later long term memory), a sudden experience of the dream state when you are awake (hallucination). You “see” things that normal people never “see” (UFO’s??). Many people don’t want to discuss this with other people because they are afraid to confess “they are not normal”. The earth magnetic field is wobbling. Some scientist are predicting a complete dramatic change of the Magnetic Pole of the Earth.. The magnetic pole is also moving fast now. The North Magnetic Pole could soon abandon Canada, migrate north of Alaska and eventually wind up in Russia. Scientists connect the fast movement of the Pole to an upcoming Pole Shift. Not only the Sun produces flares. Suddenly out of the blue Magnetars (Neutron Stars) appeared. 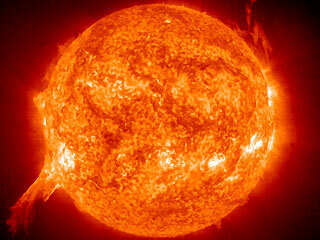 On August 24, 1998, there was an explosion on the sun as powerful as a hundred million hydrogen bombs. The explosion was an “X-class” solar flare, and during years around solar maximum, such as 1998, such flares are commonplace. They happen every few days or weeks. The Aug. 24th event was powerful. A few days later another blast wave swept past Earth. The source of the blast was SGR 1900+14, a neutron star about 45,000 light years away. It was the strongest burst of cosmic x-rays and gamma rays we’ve ever recorded. Its power was a million billion (1015) gauss. The magnetic field of the sun is less than 10 gauss in most places, and about 1000 gauss near sunspots. Since 1998, Earth has experienced about 10 similar events. A huge burst of radiation causes something called an EMP, an ElectroMagnetic Pulse. This is what happened in Quebec in 1998. It was a minor EMP. When the intensity of the flare is very high the energy of the Pulse is able to destroy everything that is connected to the Electricity Power System. Any unprotected electrical equipment and anything connected to electrical cables, which act as giant lightning rods or antennae will be affected by the pulse. Older, vacuum tube (valve) based equipment is much less vulnerable to EMP; Soviet Cold War-era military aircraft often had avionics based on vacuum tubes. Most susceptible to EMP are those components with low voltage and current requirements such as solid state devices, integrated circuits, semi conductor devices, digital computers, digital circuitry, alarm systems and electronic sensors. Generally, as the size of the device decreases, its ability to absorb voltage and current decreases, which results in increased susceptibility to EMP. Due to insufficient funds being available serious problems exist in the Civil and tactical military communications systems. An EMP will totally destroy the global GPS-system. Dr. Lowell Wood of the Lawrence Livermore National Laboratory described the effect of an EMP attack as instantly regressing a country dependent on 21st century technology by more than 100 years. Little has been done to safeguard U.S. electrical systems from the EMP. The EMP Commission reported, an EMP attack on America is a serious possibility and one for which the United States is unprepared. The EMP Commission was very worried about a terrorist attack. A group of terrorist detonates a small nuclear weapon at a certain altititude. This will create a huge EMP. They did not look at the scenario of an EMP caused by a gigantic flare. At that time nobody was imagining this. I don’t know if somebody in government is looking at the Sun Flare or the Magnetar scenario. Why are we not informed about this? We are informed. Everything I am telling you is published in newspapers and broadcasted on television. What we don’t see is the “total picture”. Why are we not informed about the “total picture”? The total picture is really simple to explain. “Something” in space is producing an enormous amount of radition. The radition is producing heat. Just like the frog in hot water we are unable to feel it but now “strange things” are happening. Highly sensitive people experience strange sleeping problems. Attention deficit disorder is a huge problem with young kids. We experience strange weather. All these “strange” things are explained by one factor. Explaining Everything by only one factor is the best you can do in science. The principle is called Ockhams Razor (The simplest explanation is the best explanation). One thing I can imagine is that the total picture will create fear and “strange behavior”. When you “know” a wordwide disaster is coming people would stop working and get into panic or (better) start to enjoy life. If you believe we are creating our own reality the explanation for what is happening could even be simpler. We don’t need an external power at all. The amount of people that believe the World will soon end is increasing. The 2012-scenario based on the predictions of the Mayan Calender is the talk of the day. I receive an increasing amount of Emails where people predict an upcoming Apocalypse. If a collective believes this will happen, it will happen. Science has proven this also. We have to prevent that the Dooms Day Scenario becomes a self-fulfilling prophecy. It will generate a worldwide apathy. People that believe the Apocalypes believe in Destiny. When you believe in Destiny you wait and see. We have created an world-wide infrastructure that is highly vulnerable. We are highly dependent on infrastructures that are too centralized. If we change the Central Infrastructure into a shared Collective Infrastructure we are independent of almost every disaster. We have to stop creating one point of total failure. What we have to do is perhaps difficult to realize. We have to become locally indepent of the World Infrastructure. We have to grow our own foods again. We have to create local markets. We have to stop to optimize the value-chain. We need wharehouses when the system fails. We have to generate electricity in our own home. All this is possible. It will even lower the costs and create a better balance in the ecology and the social infrastructure. People will move out of the big cities and start to produce food. They will start to collaborate on a local level and their culture will be preserved. We don’t have to destroy the collective infrastructure. We can still share our surplusses. We can still move food and electricity from one place to the other but the distance between the centres will decrease. This will save a lot of energy.